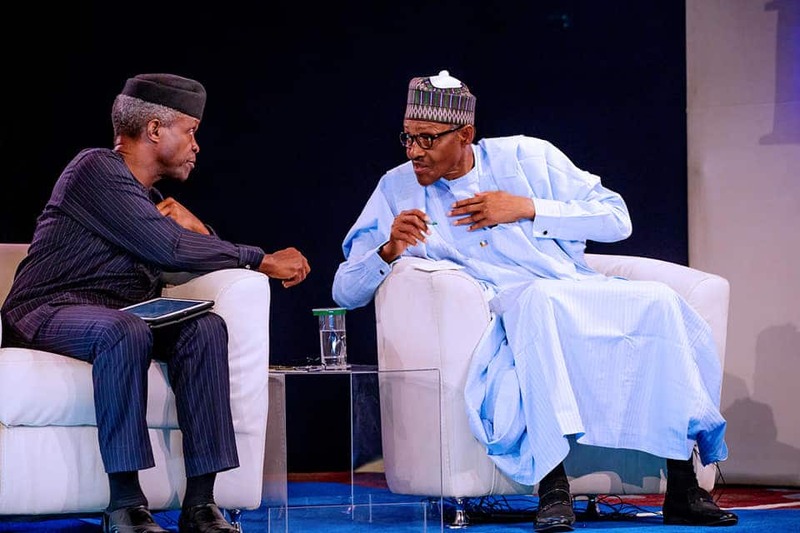 President Muhammadu Buhari has extolled the virtues of Vice-President Yemi Osinbajo, and his pivotal role in delivering on the ‘change agenda’ in the last four years. Legit.ng reports that Buhari gave the commendation on Monday, February 11, at a meeting with Ogun state traditional rulers led by Alake of Egbaland, Oba Adedotun Aremu Gbadebo. The president particularly lauded Osinbajo’s role as the head of the National Economic Council (NEC). The president’s special adviser on media and publicity, Femi Adesina, in a statement in Abuja, said the president responded to the Vice President’s presentation at the meeting on the economic outlook in the country in the last four years and how the APC-led administration had done more with less resources. The president told the traditional rulers that in all the states he had visited so far for his reelection bid, he had taken time to explain to Nigerians the achievements, programmes and future plans of his government in the three key areas of economy, security and anti-corruption. In his remarks, Oba Gbadebo assured the president that Ogun people would give him more than 60 percent of the votes in the state to guarantee his reelection and that of their son, the vice president on February 16. Meanwhile, Legit.ng had previously reported that the Sunday, February 10, paid a courtesy visit to Ayangburen of Ikorodu, Oba Kabiru Shotobi, in continuation of his house-to-house campaign in Lagos state.